This week, Your News to Know round up the latest stories involving gold and the overall economy. Stories include: 5 reasons why the drop in gold prices shouldn’t worry investors, gold can climb as Fed hikes, and small Asian nation hoards gold as protection against trade war. Although gold investors may be feeling the psychological effects of price dips, Forbes’ Simon Constable recently explained why bullion still stands apart from virtually every other asset class. A price drop to the tune of 2% ultimately doesn’t have much bearing on gold’s value and appeal, as the metal never abandons its role in a portfolio. As Constable notes, downtrends in the price of gold have more to do with perceived strength in the dollar than anything else. 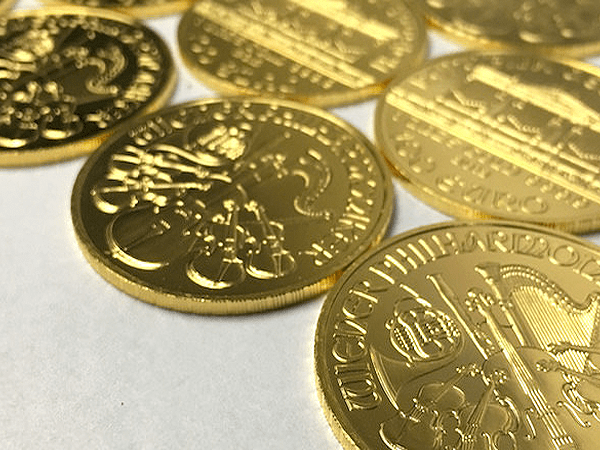 The latest dip is an example of how a well-performing greenback can make the gold market appear to struggle even when its fundamentals are rock-solid. Furthermore, the move lower isn’t indicative of market sentiment, as the metal remains highly favored among investors. To get the most out of their gold allocation, bullion holders should remember why they invested in the metal in the first place. Gold is one of the very few assets that stay attractive regardless of market conditions, as the metal thrives during a crisis while also posting impressive performances through stretches of economic growth. And while other assets can appear to outstrip gold in periods of the latter, Constable notes that gold’s lack of correlation is one of its most appealing traits. Because of it, the metal can diversify any portfolio while retaining the potential to perform better than flashier assets. Together with an unparalleled ability to reduce risk and preserve one’s wealth against fiat money errosion, the arguments for owning gold are equally powerful even when bullion prices are moving lower. While a hawkish stance by the Federal Reserve can be seen as negative for gold, a recent note by RBC Capital Markets on Kitco reminded investors that rate hikes are far from a determining factor of gold prices. In a video posted on RBC’s website, commodity strategist Christopher Louney explained that the relationship between gold and interest rates isn’t symmetrical, and that the metal has plenty of room to move up even amid an aggressive Fed policy. Although RBC sees up to four rate hikes in 2019, the firm nonetheless predicts that the year will be a standout one for the metal. Louney said that there are numerous factors waiting to boost gold that the markets still haven’t woken up to, and that 2019 will see a notable shift in market sentiment. The strategist expects investors to finally become cognizant of the mounting geopolitical and economic risks, adding that the increased wariness against global uncertainty will heavily play in gold’s favor. While the world braces for further economic conflict between the U.S. and its trading partners Russia and China, one Asian nation isn’t waiting to see what the next round will look like. According to an article on Bloomberg, Kyrgyzstan is amping up its gold stockpile to new levels in an effort to shield itself from the fallout of a possible trade war. Gold is currently the country’s biggest export and holds a major share in the country’s $3.4 billion annual industrial output. But Kyrgyzstan’s central bank is looking to continue its policy of purchasing domestic gold until half of its $2 billion international reserves are made up of bullion, up from the current 16%. Abdygulov’s motivation lies heavily in the country’s economic relations with Russia and China, as Kyrgyzstan depends on imports from the two to prosper. The country’s currency, the som, experienced its biggest decline in 2015 as Russia’s own currency plummeted and the Kremlin faced off against the West. Kyrgyzstan’s bullion-centric diversification policy has already brought the percentage of its gold holdings as total reserves close to that of Russia and above countries such as India and Turkey. Both Kyrgyzstan and Russia trail the U.S. and Germany in this regard, as the two Western nations each have over 70% of their reserves in gold.